INTERNET MARKETING COACH TIPS: Who can guide you how to make money online? An Internet marketing coach who has been earning millions of dollars from eCommerce each and every year since 2000 with regional internet marketing offices in China, Hong Kong and Malaysia, and have coached entrepreneurs into successful Internet millionaires from scratch? Will you want to pass your business internet marketing strategy to the only Internet Marketing Coach featured by CNBC, Bloomberg, ChannelNewsAsia, CCTV, Hong Kong Radio, or other newly started Internet marketing coaches or any free Internet marketing seminars? Earned US$420,000 within 2 months! 400% Increase in Seminar Registration and 70% Reduction in Costs! the first email marketing campaign in Malaysia in 2002, which resulted in over 400% increase in registration of a seminar and 70% reduction in costs. 297 Applications within 3 days! to launch an innovative email plus viral marketing campaign, which resulted in 297 credit card applications via the email within 3 days. Email Marketing Results in Sale of HK$300,000 in 7 days! sale of HK$300,000 within 7 days of sending an email campaign to a member opt-in list of 2,000 people in Hong Kong. "I was not into IT. But after attending eOneNet's Internet Marketing Coaching course, I created a website selling CRM software within 2 months and earned US$36,000! I expect to hit One Million dollar sale within one year." "4 months after attending the eOneNet's Internet Success Coaching program, I completed my website, and got top rankings in leading search engines. Within a week I received enquiries from as far as Netherlands and Australia. Now I am on the road of negotiating proposals worth US$800 a month per trainee and my investment is almost covered with the first month fee !" “Firstly I wish to congratulate eOneNet that the 1st Internet Success Coaching™ Program 2003 is a very successful one! After the seminar, I began to understand that there are so many products/services that can be marketed online. The most important knowledge that I gain from this seminar is how to drive traffic to my website which will increase my business. I gain this know-how in 2 days which I was trying to learn and understand in 2 1/2 years by myself." P.S. Within the next 2 months Mr. Tan's corporate website has closed sales worth US$5,000 plus ongoing negotiations worth US$80,000 per year and his personal site made a couple of sales which made back more than 100% of his investment in this program. Why choose eOneNet as your Internet Marketing Coach? - The only Asia Internet marketing company to offer support with regional offices in Asia including Malaysia internet marketing and Hong Kong (China) internet marketing offices. - Most no. of Asian success students, including those who made more than one million dollars from scratch. “I have attended many other seminars but have come away none the wiser. Your Internet Success Coaching™ Program, however, has taught me almost all that I need to know about how to tap the Internet goldmine and make money instantly - with hands on guidance and monitoring. even with a shoe-string budget and without any products. Secrets of Multi-million dollar Internet Marketing Coach Fione Tan, President & CEO of eOneNet.com and her million dollar graduates Revealed Here! If your life depends on your online business success and you can only attend one Internet seminar, how do you choose? "Read the testimonials in between the lines. Pick one which produces the most number of Internet making money success stories, not just some hyped up newbies who "think" the seminar is good and they can make money. Did they actually make any money, and how much? This is probably the World's only Internet marketing seminar which enables the students to make money during the first 2 days of the training and make even more money during the next 2 months. What's more, unlike other fly-by-the-night overnight "gurus", you will be provided with the support from our owned office, computer lab, web designers, programmers, and all the tools you need to sell online and make money instantly, including website, online payment facilities and other tools." "We already made (US$717) in cash and (US$2,318) cash equivalents on the 2nd day of the Program, even before we went home!" Soh Yew Siang, Shawn Low, Wan Alimi and Mark Wong, 2003 eOneNet students. "I joined eOneNet coaching in May, 2006, more than HK$450,000 by May, 2007, with the biggest one order of HK$300,000. In August, my online sales hit the first One Million dollars!" Ruby Chan, founder of Glass engineering website in Hong Kong, China. "I completed two websites and 10 blogs within 6 months after joining eOneNet coaching in May, 2006, selling products (jewelry), services (maid recruitment services) and information, each one making me money! My maid recruitment website is getting #1 rankings in Yahoo and Google, resulting in my getting orders from overseas employers such as Spain, Bahamas!" Alice Sy, Philippines internet marketing entrepreneur making money online selling maid recruitment services over the Internet. "I recouped all my investment into eOneNet's course within 3 months, became a full-time crystal seller online, and won a Yahoo top seller award within 6 months." "I wonder whether this online business will work for an Internet newbie like me. But I got my first sale within 2 months of joining eOneNet's program, USD92, from Morocco. Within 6 months, my online sales reached USD10,786, from US, Japan, Korea, Turkey, Yugoslavia, Malaysia. I am now convinced I can sell online to the world!" The class size is limited to to 30 only for one person one Laptop with broadband Internet access and for giving maximum attention to individual participants. Asia's 1st hands-on complete Internet marketing coaching live in computer lab in Malaysia and Hong Kong, which reveals eOneNet's secrets (and their students) of making thousands of dollars to millions of dollars! - Weekly online assignments which will guide entrepreneurs on how to find hot selling products, how to create irresistible website copywriting to increase your online sales and how to get FREE TOP 10 rankings in search engines like Google, Yahoo! and MSN Bing! - Regional support with eOneNet's team of Internet Marketing Coaches , web designers and programmers in Malaysia, Hong Kong and China. Don't attempt to sell online until you've read this! Can a normal person really make money on the Internet? No, unless you have a deep pocket to pay for the trial and errors, or alternatively, you've mastered the proven Internet success system, which I am going to reveal here! You do NOT need to be technical to be a successful. When I asked the participants in my seminars what their biggest challenge was in starting an Internet business, one of the hot answers is being non-technical or non-IT savvy. If this is also your biggest challenge, I have some good news for you. To be successful in an Internet business, you do NOT need to be technical or IT savvy. What you need is to know how to type with a computer and how to log on to the Internet to surf! Why Should You Consider My Advice? I was NOT trained in IT. I studied Management & Marketing in Iowa, USA and came back to Malaysia in 1997. I was shocked to find that in terms of Internet, it's so backward. My family had a PC but no Internet connection. I had to take great trouble to apply for an Internet line at that time. I started working in an insurance company as a marketing executive handling monthly portfolio of over US$250,000 and my monthly performance quota increased 10% each month. After 2 years, I felt that I had enough real-life marketing experience and decided to start an Internet business, which is my real passion. With an idea, I managed to team up with some partners and raised US$26,000 capital from thin air. After the fund raising exercise, the first thing we needed to do was to develop our website. The fastest and most reliable option at that time was to hire a web consultancy to do it for us (since all of us are not technical). We had to do research, obtained quotations from different companies (which ranged from US$8,000 to US$26,000). We finally settled for one who charged $21,000 after negotiation. We made $34,000 within the first 6 Months! Ranked #1 Internet Marketing Coach, #1 Internet Marketing Seminar / Workshop, and more than hundreds of #1 rankings and thousands of top 10 rankings for my sites and my clients' sites in search engines and more every day. I am not talking about top rankings for some terms or keywords which very few people are searching for, but hot keywords with hundreds or thousands of searches every month. Hire a normal web design firm and your website will not be SEO friendly. You might even lose your current search engine rankings! In Apr 3, 2005, for the keyword "Miss World", my client Miss Malaysia World ranked No.2 out of a whopping 37 million listings! After we finished the 3 year contract with Miss Malaysia World organiser, they appointed another company to revamp their website, which certainly looks more professional. However, the new site can be found no where in Google. So it's another iron-clad proof that a search engine optimised website is more important than a professionally designed website, if you want your site to be found on top of search engines, for FREE. Sought after speaker in international and regional Internet Marketing conferences including CommunicAsia eBusiness Specialist Conference 2002, International Internet Marketing Conference Conference 2002, eBusiness Conference 2000 and hundreds of other Internet marketing seminars in Malaysia, Singapore, Thailand, Philippines, Dubai, Taiwan, Pakistan and Iran. So why do 90% of Internet businesses fail, and how can you avoid the same mistakes? Click here to find out. Grab the chance to learn the success system of making money online at the comfort of your home, from the world's top Internet Marketing Coach! 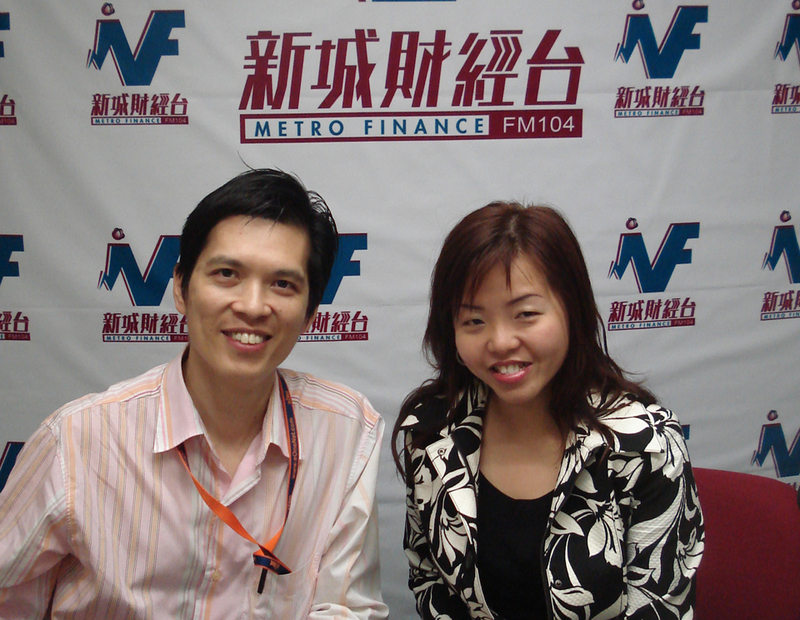 If you are looking for the basic Internet marketing seminar - English and Chinese, click here. Find or create a product that can sell online. For more internet marketing tips, download Fione Tan's Internet Marketing Workbook on How to Start a Million Dollar Internet Business for FREE by filling the form below.